Brand fatigue is a serious problem. Like most people you are probably inundated with hundreds of emails from brands you have shopped with, companies you have dealt with, and speculative offers of products you might be interested in. So what do you do with all these emails? Yes, you guessed it: they go straight to the SPAM folder without even being opened. Unfortunately, brand fatigue happens to us all. No matter how in love we are with the gorgeous cushions we bought from a home furnishings website, the moment we start receiving weekly emails from them, announcing new offers, new products, special buys, and all kinds of information we are not all that interested in, we lose interest. The fact is, we wanted the cushions, we were happy to buy them, but we don’t want to be bombarded with junk emails every five minutes. Some of the information you receive might actually be of interest. For example, there could have been an email in there with a 50% discount voucher on cushions from the same range. But because you have already hit delete on the previous 49 emails, it is hard to spot the one email that’s specific to your interest. Marketing frequency is a real problem. Once upon a time a marketing email pinging into our inbox was worthy of a quick read during a coffee break. Now it’s just annoying. Too many messages via a particular medium will cause the customer to zone out. It’s like white noise. You start off finding the noise annoying and then eventually you stop noticing it. Send out too many tweets, emails, Facebook updates and before long, your customers will filter your brand out. The opposite happens when there are too few high value marketing messages: if the customer doesn’t see enough of the content they are interested in, their engagement level will drop and you have lost them forever. 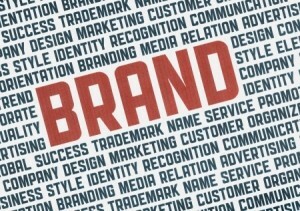 So how can you avoid brand fatigue in your marketing efforts? Facebook is a tricky platform to work with. It is really important that you go the extra mile when creating Facebook content, because if people don’t engage with you, your posts will not be promoted by Facebook. Other social networks such as Twitter are less challenging, so it can be helpful to test content strategies on there first – and if you get decent levels of engagement, you will have a better sense of what might work on Facebook. With email, it is better to err on the side of conservative caution. Try and avoid too many generic emails. If you personalise your content it is easier to build a rapport with the customer. And whatever you do, don’t bombard them with messages from day one or you’ll end up marked as SPAM. Keep a close eye on your blog conversion rates to see what type of content works, and what doesn’t. Write for the readers, not just to tick a box, and people are more likely to engage with your posts. The aim of the game is more engagement with your marketing strategies, so think before you create content and hopefully you’ll avoid brand fatigue.